Melbourne rockers Kingswood are coming to the UK this May. The band released three singles in 2012: Yeah Go Die, Medusa and She's My Baby. Kingswood's debut album, 2014's Microscopic Wars, was recorded in Nashville and received much critical acclaim. 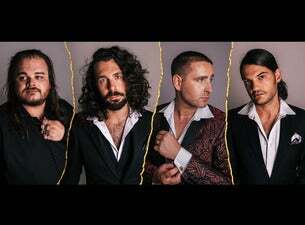 Following 2017's sophomore album After Hours, Close to Dawn, Kingswood is working on another new album and most recently released the single Messed It Up.